In June 1971, the island was purchased by Eddie Haymour, a Lebanese immigrant who had married a Canadian girl. Eddie had a vision to make the island a major tourist attraction with an Arab themed park with gardens, miniature golf course, pony rides, a swimming pool and restaurants. Water taxis would take people to the island from around the Okanagan Lake. 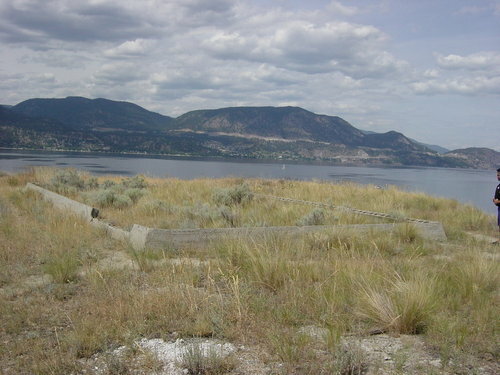 After Eddie had started construction, the Provincial Government stepped in as it decided that it did not want a theme park on Rattlesnake Island and tried to shut down the project. Eddie opened the unfinished park in June 1972 which was attended by over 700 people. Hearing of the BC Government's opposition to the plan, the Royal Bank withdrew it's loan to Eddie and he could not complete his theme park. 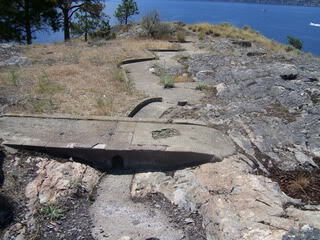 The BC Government offered to purchase the island for $40,000 but Eddie had already sunk $170,000 into his development project. 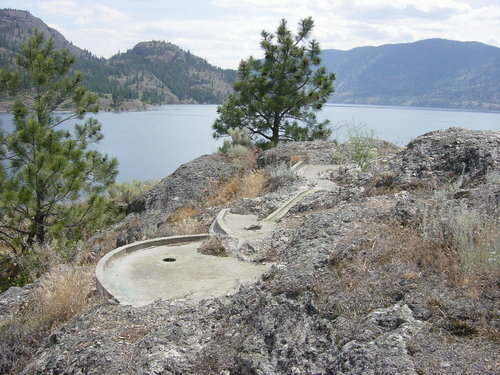 The theme park was left abandoned and the park eventually was incorporated in the Okanagan Mountain Provincial Park. The story doesn't end though, as Eddie sued the Government for compensation and in 1986 he won his case and was awarded $250,000. 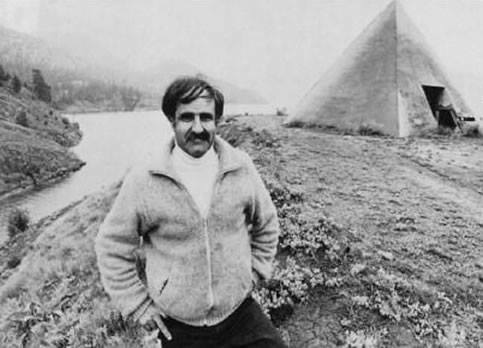 Eddie never did get his island back, but did purchase land in Peachland where he built a small hotel with an Arab theme which he ran for several years. 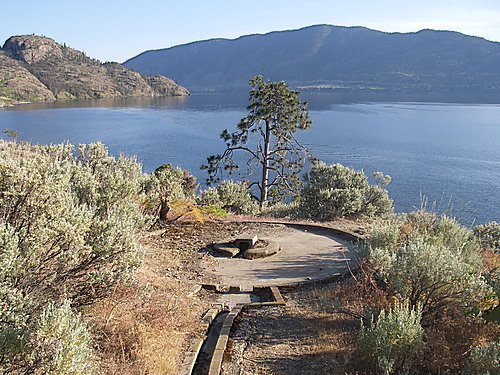 The hotel is now known as the Peachland Castle, which is on Highway 97 on Renfrew Road. 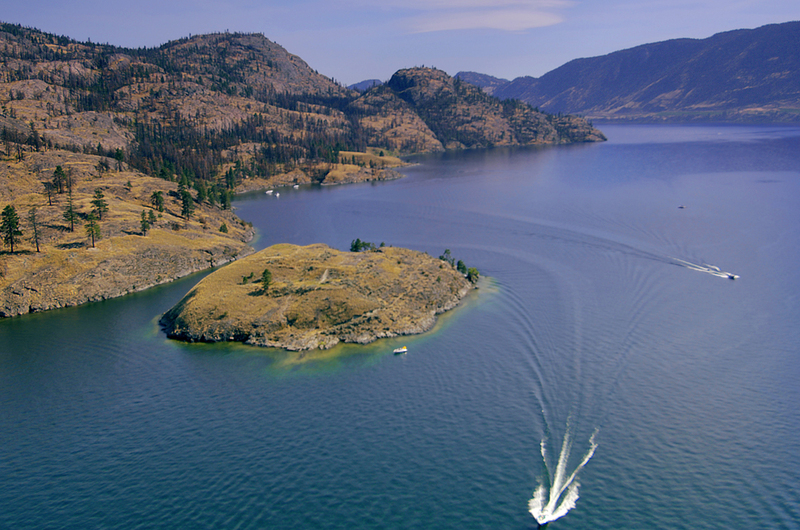 Legend has it that the famous Ogopogo lake monster lives in a cave beneath the island.